In 2016, over 800 jazz artists and professionals registered for the conference. The registrants came from all over the world, and included artists, managers, agents, record label reps, publicists, journalists, radio programmers, concert & festival presenters, attorneys and other members of the global jazz community. Is there a registration fee to attend the conference? In addition, the Jazz Connect Conference offers a 15% discount off its pre-registration rates to current members of various jazz organizations and affiliate groups. If your jazz organization is participating, you will receive information about their corresponding promotional discount code. Yes, for students showing a valid high school or college ID, the registration fee is just $50. The conference will be held at Saint Peter's Church, which is located at 619 Lexington Avenue, New York, NY 10022. The church is at the corner of 54th Street and Lexington Avenue, near a 1 subway stop. The entrance for the conference is on 54th Street. Is there a discount for lodging at the host hotel? You can make reservations online at www.dtnewyork.com. Use the group code JAZ to reserve at the discounted rate. NOTE: If you book outside the group dates and different room type that the group contracted, you will not see the availability. You have to book the reservations by calling the Reservations Department. 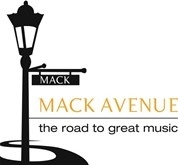 If I’m a member of APAP, do I get a discount for registration at Jazz Connect? Anyone who is a current member of APAP receives 15% off the registration free at the Jazz Connect Conference, although you must pre-register. Do I get free or discounted admission into the APAP Conference? 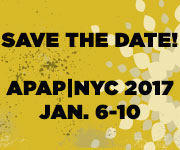 No, unfortunately admission to the APAP conference requires separate registration. For information about registering for the 4-day conference, go to their website. Do I get free or discounted admission into Winter Jazzfest? How do I sign up for the “Ask the Experts” networking session on Thursday afternoon? That session will be organized according to four categories: DIY/Management; Booking; Recording; Marketing & Promotion. There will be two professionals available in each category, doing 10-minute slots. Sign up for meetings on-site in the registration area. Slots are available on a first come, first serve basis. Are there performances or showcases at the conference? No, because APAP and Winter Jazzfest provide hundreds of opportunities for performance showcases, we are not doing any performances on-site at the conference. For information about showcasing at APAP, contact Judy Moore at jmoore@artspresenters.org or (202) 207-3858. 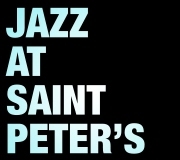 For information about performing at Winter Jazzfest, go to their website. How do I submit an idea for a workshop or panel topic? Send your topic proposal to jazzconnectnyc@gmail.com. Be sure to include a brief description, along with who you think the session will appeal to, along with some possible panelists. Please don’t send us session topics which are all about self-promotion. Are the sessions streamed or broadcast on the web? No, in order to experience the unique benefits of the conference, you need to attend the Conference. However, the sessions will be recorded in audio format and made available in the months after the Conference. Are the sessions videotaped or recorded? The sessions are not videotaped, but they are recorded for audio. Those tapes and transcripts can be found on the Jazz Forward Coalition Tumblr site, in the months after the event. Are there opportunities for sponsorship or an enhanced presence at the conference? We will have a limited number of tabletops which will be located in the highly-trafficked foyer area directly outside the main meeting room. Contact Michelle Elchaak at melchaak@madavor.com or (617) 706-9080. In addition there are several sponsor opportunities, such as providing a swag bag or lanyards or hosting a reception. Contact Peter Gordon for more information. Is there a conference program I can advertise in? Yes, JazzTimes will be publishing a program which will run in the January/February issue of JazzTimes, as well as being printed and distributed as a stand-alone publication on-site at Jazz Connect, APAP and Winter Jazzfest. 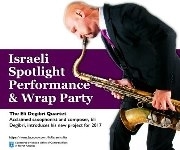 For more information about advertising in the Jazz Connect Conference program, contact Michelle Elchaak at melchaak@madavor.com or (617) 706-9080. Is lunch included in the registration? No, there are no meals provided during the two-day conference. #Jazzconnectnyc is the twitter hashtag. Press passes will be very limited and will be granted on a case-by-case basis. Anyone with intentions of covering the conference should contact Don Lucoff or Maureen McFadden at DL Media (don@dlmediamusic.com or 610-667-0501) with the specifics on the expected coverage and outlet. Anyone wishing to volunteer to help with registration or logistics should send an e-mail to jazzconnectnyc@gmail.com with “Volunteering” in the subject line. Please indicate when you would be available and what sort of experience you’ve had before with conference or event logistics. Can I display literature at the conference?